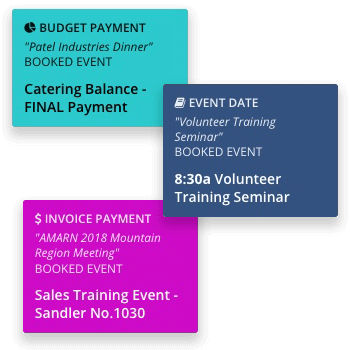 Our corporate event planning software offers 20+ integrated tools that streamline processes for managing everything from event registrations, event websites and surveys to tasks, timelines and budgets. 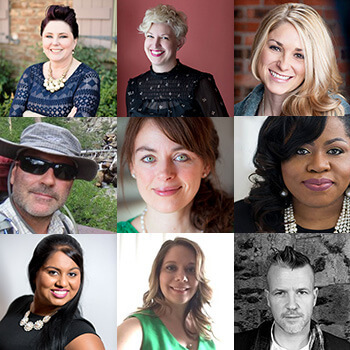 Keep tabs on all the people involved in making your events a success. Assign tasks to team members and monitor follow-through. Track guest lists, RSVPs and registrations. Manage vendor assignments and schedules. Track venue bookings. You have many demands on your time, including attendees with high expectations. Our tools are built to reduce busywork and simplify your workflows so you can devote more time to wowing your attendees. 5,000+ event pros have used our corporate event management software to plan 100,000+ events (and counting). And we have consulted with hundreds more to fine-tune our platform to address your specific needs and requirements. "Planning Pod is a fantastic site for planners. 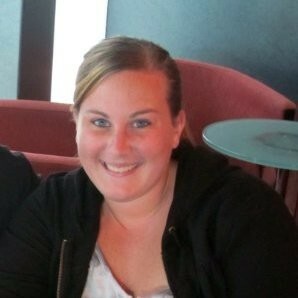 As a corporate planner, I love its tools and how it’s set up for businesses." From the planning phase through execution, our system offers an end-to-end solution for managing details and people every step of the way. 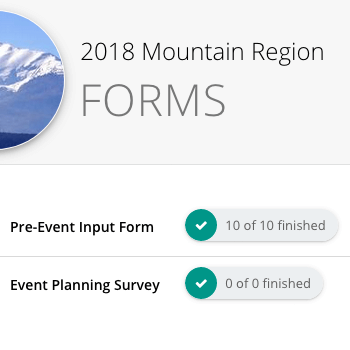 We even offer tools like forms and surveys for proper post-event assessment. "It does an amazing job of keeping all of the details for our events organized and in one place." From signup to check-in, our tools make things seamless for you and your attendees. Create custom event websites to collect registrations, sell tickets and process RSVPs online. Track guest details and payments. Integrate with your email software of choice to reach out to attendees. And use our event check-in app on event day to keep lines short. Our corporate event management software ensures nothing slips through the cracks. Build budgets to track expenses, revenues and payments. Create detailed event timelines with vendor, venue and team assignments. 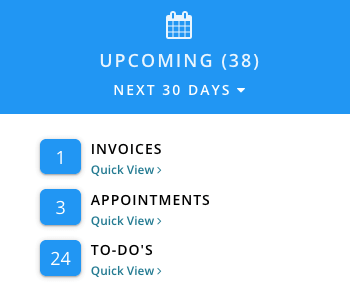 Stay on schedule with task reminders and shared calendars. And always know where you stand with comprehensive event dashboards and downloadable reports. Create colorful, to-scale event floor plans and room layouts that express your vision, accomplish your goals and ensure proper flow for you event. 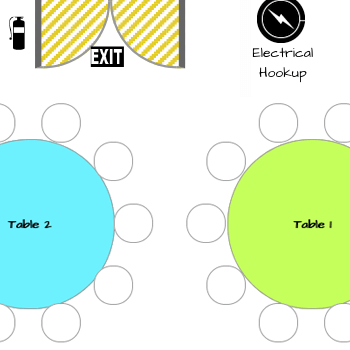 Our drag-and-drop tool also lets you build seating charts directly from your guest list with meal choices and table assigments. Shrinking budgets where you are expected to do more with less. Shorter lead times requiring you to do everything on a rushed schedule. Filling seats to your events and maintaining registration volume. Getting stakeholder and upper management buy-in. Tracking event ROI and justifying your event spend at every turn. Maintaining communications with team members, clients and vendors who aren’t as responsive. Moreover, you don’t really have much time to spare to assess and review new technology, let alone learn a new corporate event management software platform. To that point, we wanted to give you a quick overview on how to save time in evaluating cloud-based corporate event planning software and the kinds of things we would look for if we were to search for such a program. Before you dive into reviewing specific applications, here are a few pre-planning steps to take to keep you from getting overwhelmed. How comprehensive are your needs regarding corporate meeting planning software? Do you need a true all-in-one solution or do you have a few must-have features followed by a few nice-to-have features and don’t need your software to do everything under the sun?This will dictate the type of application you will be looking at as well as the packages and pricing involved. 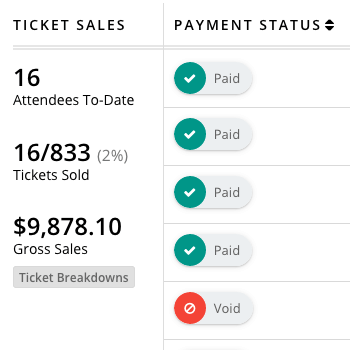 For example, there are corporate event software suites like Planning Pod, Cvent, Social Tables and EventPro that are very strong in back-end event planning tools and other applications like EventBrite, Whova and rsvpBOOK that have strengths in registration and attendee-facing tools. There is definitely a wide range of prices when it comes to this kind of software, so make sure to ballpark what you can afford and include that in your event budgets from the start. This way, when you start looking, this can be one of your leading criteria. Many corporate event planners are on-the-go at all times, so you may need an application that is mobile-friendly and works as well on an iPhone, iPad or Android mobile device as it does on Mac and PC computers. Also, you should consider if the application can work as well on a cellular connection as it does on a WiFi or Ethernet connection. It is not uncommon for corporate planners to already be managing data and processes in other applications like Mailchimp, Constant Contact, Slack, Hubspot, Salesforce, Google, Dropbox, Trello, Basecamp, etc. And you may want to still use those applications because you are comfortable with them and they get the job done. So the corporate meeting software that you choose should be able to integrate and share data with your other applications. This may sound like a silly question, but how an application looks and how you navigate through it are big factors in how quickly you adapt to it. So when you first start reviewing tools, pay close attention to how the system is laid out, how easy the tools are to use and how they align to the way you plan and think. Of course any platform will require some level of learning and acclimation, but the more you can shorten the learning curve the better. Now that we’ve covered the initial steps in your search, here are the categories of corporate meeting planner software software tools that are available. Note that no two software applications are the same or offer the same tools, so make sure to keep a tally of which platforms you review and which platform had particular tools. A huge benefit of most Web-based applications is that multiple users can log in, communicate and share information inside the platform. Look for software that offers the ability to invite additional users, lets them create their own logins and lets you set permissions for them. 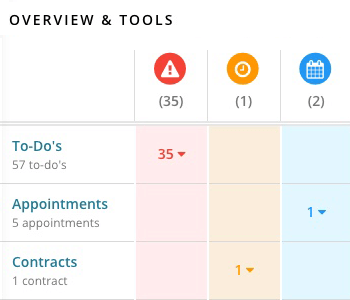 Some applications also offer staffing management features like staff scheduling and shared calendars. 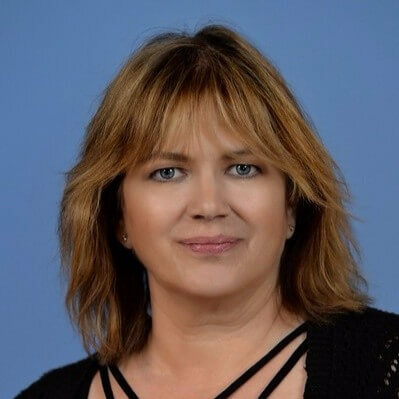 It takes a team to pull off an event, and every event professional knows that the success of your event is as dependent on your vendors as much as anyone. 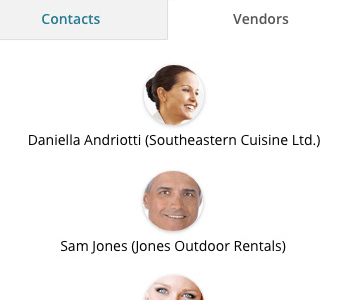 Corporate event management software apps that offer venue management and vendor tracking let you stay on top of contacts, assignments, schedules for catering, audio/visual vendors, rental companies, speakers and more. There are two approaches that corporate event management software platforms can take regarding event marketing. One approach is to offer marketing tools like bulk email sending, event website builders and social media promotion as part of the entire suite. The second approach is to integrate their suite of tools with external marketing applications that are specifically built for marketing (like MailChimp or Constant Contact for email marketing; Wix or Squarespace for building websites; Hootsuite or Agorapulse for social media marketing; Hubspot or Marketo for integrated marketing software). At minimum, any piece of online software should offer server-side firewall protection, SSL data encryption, daily data backups and best practices for preventing data breaches.